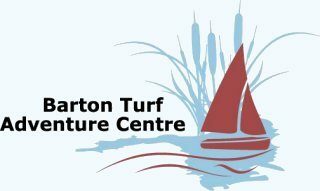 For a great family day out why not ‘Go Wild at Barton Turf’ joining in with the Broads Authority/BTAC fun-packed day at Barton Turf? Learn about the special wildlife of the Broads. Get the low down on Norfolk’s wildlife from the experts and get close to nature on wildlife trails. Try pond dipping and watch what you’ve caught on video microscope or get creative with art and craft activities. You can make mini beast homes, bird or butterfly feeders or robin nestboxes. Refreshments will be available. There will also be opportunities to try out canoeing or take a boat trip on the Broad. NB Only some of the site is suitable for wheelchair users. Free Entry (charges for some activities e.g. boat trips). Free Parking. On-site Cafe. 2019 Date: 12th May: open from 11.00, closes 16.00. Because the marsh has not dried out as much as we would like, anyone wanting to go on the marsh wildlife walks is advised to bring wellington boots!